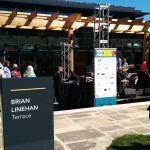 This week, CHML’s Scott Thompson wanted to know how the heck a slob like me gets invited to cool stuff like the Canadian Film Centre TIFF BBQ. Connections, I tell him, specifically my old pal Slawko Klymkiw, the CFC’s Mr. Everything. I give the CFC’s TV program a good plug, mainly because it is an impressive program which places film and TV grads into valuable mentorship programs which often translate directly into jobs, but also because I’m trying to grease the way for my son Dan to slide in there someday. Scott also wanted to catch up on the passing of Joan Rivers. Her death was announced shortly after we did our usual CHML radio chat last week (generally on Wednesdays around 2:36 p.m. ET live). 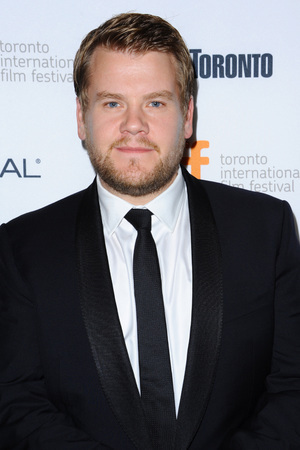 And speaking of late night, we end up discussing the news that jolly Brit and young Andy Richter look-a-like James Corden has been officially named as the next host of CBS’s Late Late Show. He’ll be taking over after Craig Ferguson bows out at the end of this year. I know! You can listen in here.